Made few mistakes! Planned a long route with 2 times crossing the Russian border… Ooops! But I’ll tell you later about it. First there was a ride from Plinkses to Klaipeda harbour, and from there we took a ferry to Curonian Spit. Ferry costs 3,35€. And after we arrived the spit there was a roadtoll (5€/ bike). And we also had to pay the toll again in Russian side (that was a little bit more than 4€). The road in Curonian Spit is beautiful, it even has some corners and uphills-downhills. We stopped in one beach to take some pictures of the Baltic ocean. We also stopped in Nida to buy something from the shop. After Nida it was time for the first border check-Ins! These first check-Ins took about 1h 30mins! Then we’re in Russia!! This is Amber museum in the center of Kaliningrad. And this is the worlds biggest castle in Malbork Poland. 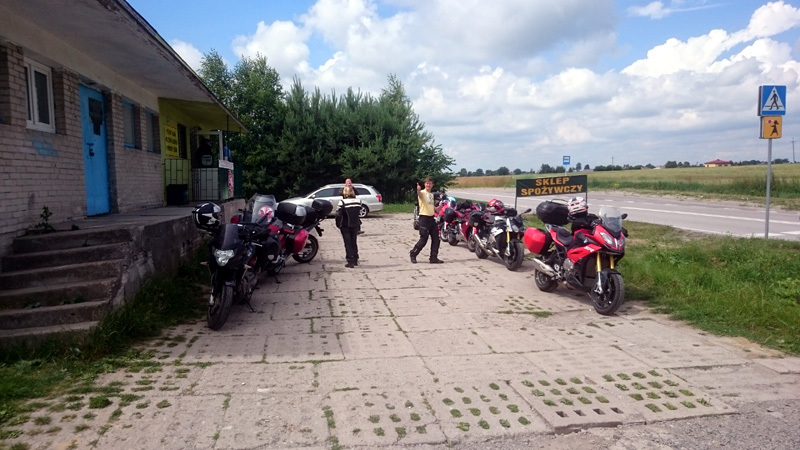 But before we could ride in Poland we had to cross the border again! The Russian side of the border was ok, (quite fast) but then the Poland side of the border-check was with a very long line!!! We had to wait more than 2 hours!!! What a catastrophe! We were so late in our accommodation! It was 9,30 pm and we started 8.30 am and there in the middle we moved from timezone to another…. so it was more than 14 hours of ride!!! – If you’re about to ride Curonian Spit, you better have 1 whole day to do it! – If you’re about to cross the Russian border twice a day, don’t ever think it’d take 2-3 hours! It will take more! Here is the route for day 2! Then we continued to Rummu Quarry. It’s an old mining quarry and a prison area but it’s been closed many years now. The quarry is filled with crystal clear water and I took a swim! All the gates and possible routes through the old prison area were closed, so we choose to ride to the “backstage” and from there we could see the area nicely! The white mountains on the left is the waste material from the limestone mining. From Rummu we took a ride to Paldiski and the lighthouse on the north side of the (ugly) city. The cliffs to the Gulf of Finland are spectacular here! (https://motocaching.net/en/cache/view/id5019) Nowadays you can also visit the Pakri lighthouse! 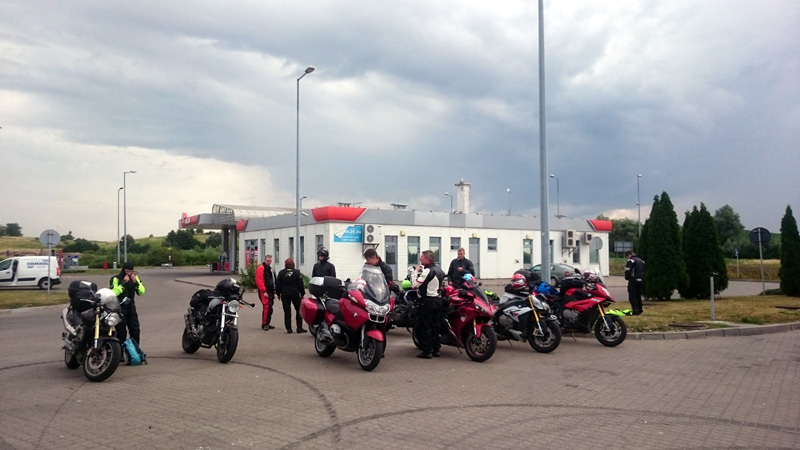 We had 4 days ride through Estonia and a small part of Latvia. 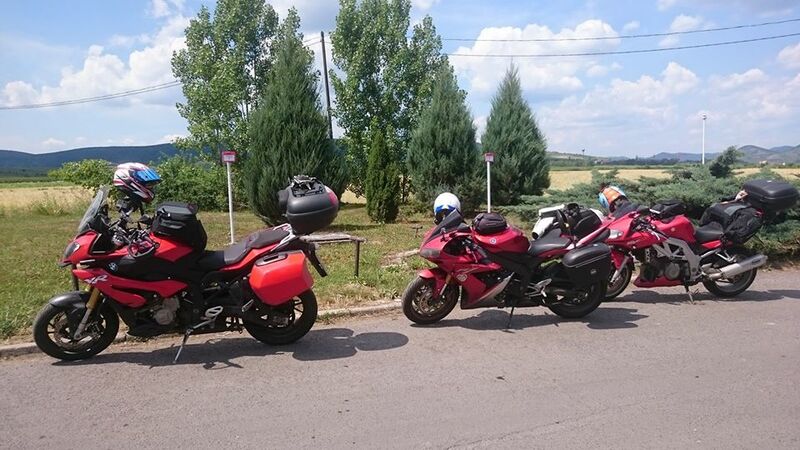 It was 1100km’s all together and still I can say… If you ever come to Estonia with a motorcycle don’t expect too much about the roads… But what you really should do is get to know the possible places and sites in every village and city beforehand! There’s something very interesting to see almost everywhere! We started the day by going to visit the 2 nice castles of Sigulda. The Beach in this Villa was fantastic! Many kilometers of white sand everywhere. Finally after a long and quite hot riding-day we arrived to Haapsalu. We visited the Haapsalu Episcopal Castle. Last time I was here (20 years ago?) it was only the ruins of the castle but now there was a museum and many different parts of the castle where you can enter. The bell tower, the hospital, the cathedral, the dungeons… we’re almost running everyhting through and still it took more than 1 hour! The entrance fee to the museum is 5€ and I really recommend to visit there! For saturday evening we choose to eat Pizza. There is 1 very nice pizzeria in Haapsalu, Pizza Grande! Quite many riders from Finland have been riding in Estonia too. But usually it’s only riding through as fast as you can! Riders from Finland are coming to Tallinn by ferry and then they ride straight to south! But what if you’d stay for awhile? It is true that there are not too many roads with nice corners in Estonia! But it doesn’t mean that riding here would be totally boring. The best curvy roads are in the coastline east from Tallinn (https://goo.gl/maps/n7Ej8PAaqb92) but you will find some nice roads also in Otepää area and in the Hiiumaa and Saaremaa islands. Sadly it is also true that if you find a nice curvy road it is quite possible that the pavement is not in very good condition. 1. Estonia was a part of Soviet Union before 1991. There are many very interesting places to see: some abandoned nuclear missile bases, military fortresses, harbours, military airports or a submarine base. 3. Prices are very cheap! Last summer (2015) me and my friend stopped to eat something in Rakvere. We parked the bikes in the centrum and we saw a restaurant. The price for a russian kind of meal (some potato sallad, vegetables and a meat-saslik) was about 8 euros! 4. The nature is surprising! There are some cliffs, waterfalls, beautiful lakes, forests, very nice sandbeaches and so much more surprisingly beautiful places. 5. Huge motorcycle meeting in July in Jögeva! Usually something like 2-3000 motorcycle riders meet every year. From Slovakia to Hungary and to Romania like this! Very nice day… also very hot day! First we had some Slovakian roads with not so tight corners until we got to the road 576 from Vechec to Herlany. That was pure adrenaline with very nice bends! Then there were few more when we crossed the border to Hungary. But soon after that Hungary was boring with full of straight roads and no mountains at all. This is how it was all the way to Romania. 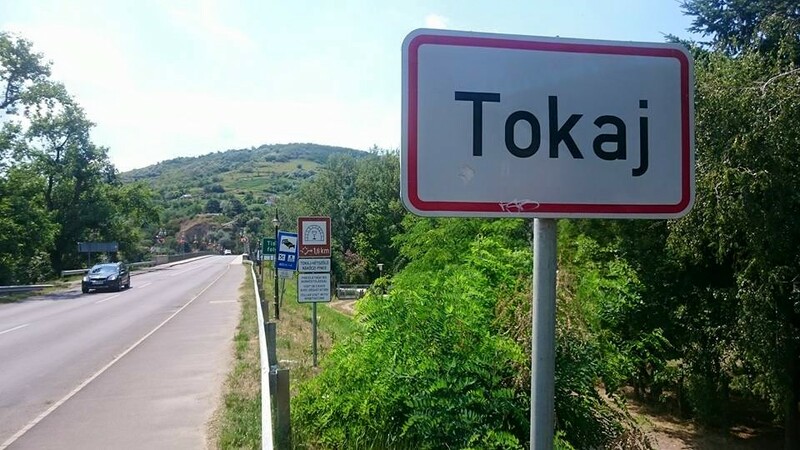 We rode through Tokaj -village. It was strange because suddenly I was thursty! But actually the only thursty-one was the motorcycle! This is somewhere in the middle of Hungary after filling the tank. And finally we arrived to Romania and a city called Satu Mare. 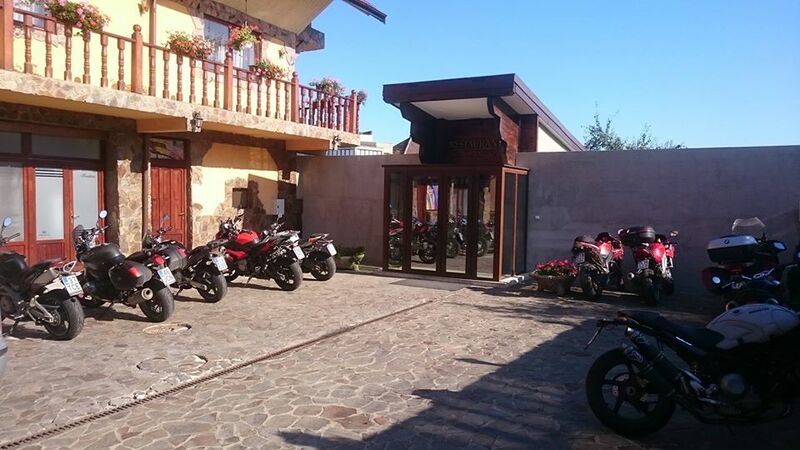 Hotel Aramia parking places. This was a quite long day. First almost 300 kilometers of straight road in Poland. We got some rain also… but then suddenly the road was full with nice corners! The last 150 km’s we rode in Tatra mountains! In the beginning of the day we were all smiling. Sun was shining. But then started the rain and we had to put on the rainsuits. But at the end of the day the sun was shining again! Here’s one video from the Tatra mountains, road is still a little bit wet.